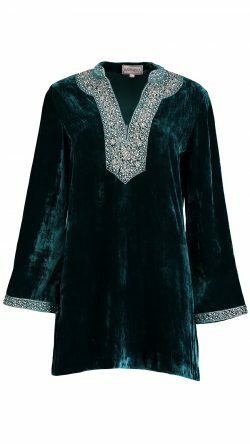 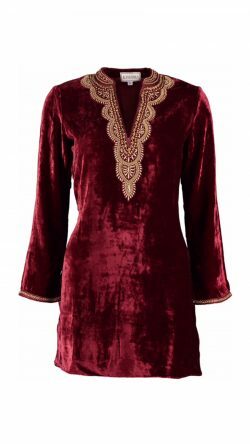 This beautiful red silk velvet tunic is hand embroidered around the neck and the sleeves. 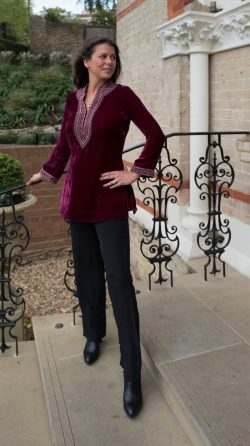 It is timeless and elegant. 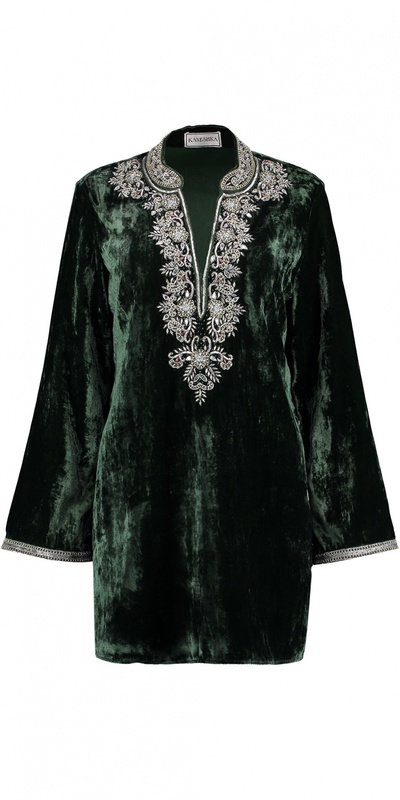 Wear it with fitted trousers or palazzos whilst entertaining at home or drinks party.